Cubicles by Cubiture blend comfort, privacy, and collaborative needs. 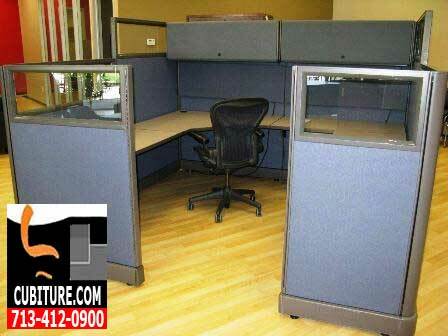 Cubicles are individual workstations that offer your employees the ideal blend of privacy and collaborative space. Used in almost every vertical market, they offer a number of advantages over open-concept office design. With hundreds of colors, materials, and design options available, everything from meeting areas to private offices can be developed from modular workstation components at a fraction of the cost of traditional office build out. This, combined with thousands of seating and accessory choices make the modular work space the most effective solution for human resource requirements. Cubicles also demonstrate exceptional space-saving advantages over traditional offices. Cubiture will develop work-space solutions for your organization that will empower your staff to fulfill individual tasks with greater speed, efficiency, and accuracy. This is because cubicles by Cubiture(TM) are carefully designed to support a balance of comfort, personal privacy, and access to coworkers. Partitions separate individual work-spaces into areas where each employee can better concentrate on his or her tasks. Innovative storage solutions can be built into the workstation to allow for secure organization of and access to office supplies, special materials, and personal belongings. By partly separating employees into individual task areas, workstations minimize excessive noise, off-task conversation, and sensory overload that can easily result when coworkers can see and hear everything the individual is doing. However, the open design of cubicles also help enforce accountability. Both management and coworkers can easily approach an individual at his or her workstation. Employees are typically more likely to stay on task if they feel their progress could be monitored by others at any time without notice. Management can also walk by work areas and monitor employee activities without interrupting work flow. A quick walk through the workstation areas is typically all managers need to monitor both group productivity and individual responsibilities. While many people would assume that open-concept designs are preferable for collaboration, in actuality the opposite is true. Collaborative tasks are typically specialized in nature and require a great deal of focus. It is almost impossible to focus on a special project in a room where you can see and hear everything transpiring around you. In fact, the need for a focused space dedicated to special tasks led to the creation of conference rooms. Many companies are surprised when they learn that cubicles can be designed to support team initiatives where groups of individuals can work on projects where specific tasks are supported by various workstation features. Because work stations are composed a large number of separate components, they can be constructed in a near infinite number of configurations and dimensions that readily support team meetings, collaborative design work, research and development, and product assembly. It is this customizable feature of workstations that offers your organization to create an appropriate level of social interaction for individual workers. 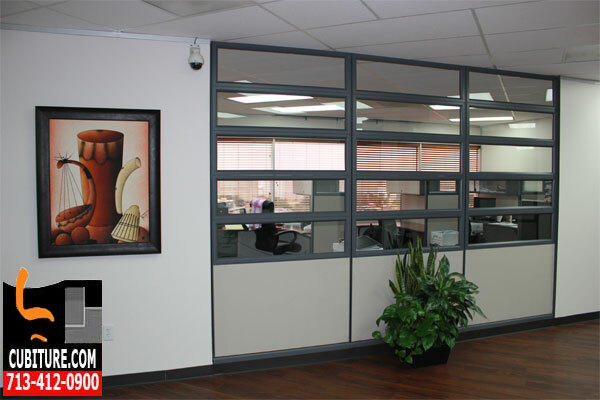 Many professionals do not realize how versatile modular systems are because of the stereotypical image of the cubicle as one of many homogeneous, bland, and confining spaces. Cubicles can be readily adapted to create a feeling of openness within the office and simultaneously minimize off-task distractions. Glass stackers allow employees to see the world beyond their work-space. Glass stackers can also allow natural lighting to be utilized to offset energy consumption. Workstations panels can be protected with sound masking that prevents even the most open of work-space designs from becoming too noisy for employees to concentrate. In spite of all that is currently being touted about the open-concept office, the facts simply do not support the thesis that work environments without boundaries are as productive as separated spaces. Workers feel intimidated by the lack of speech privacy in their immediate environment. Even in the most collaborative of environments, too, individuals still require quite time to focus on individual tasks. The failure of open-concept offices to provide this led to the development of cubicles in the first place. While some architects have been designing partitions with glass to preserve the visual elements of open-concept in spite of physical separation, these designs are beyond the budget of most smaller and mid-sized companies. Modular work spaces by Cubiture(TM) represent the most cost effective method of separating an increasingly smaller office environment into specialized areas of comfort, privacy, and focused, collaborative interaction. Cubiture installs cubicles that are designed to support work flow and individual task requirements in all major industries. Examples include, but are not limited to, energy companies, medical facilities, educational institutions, engineering firms, research and development, and financial services. Call 713-412-0900 now to schedule a free onsite design layout drawing with no obligation to purchase.